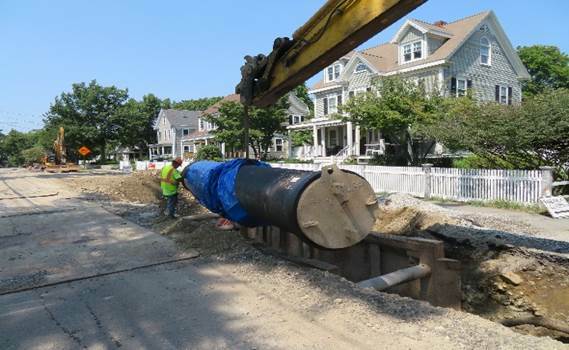 This project will provide water service redundancy for Boston, Canton, Norwood, Stoughton, and Dedham‐Westwood, through construction of a redundant pipeline. 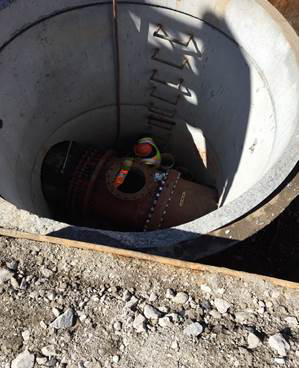 The project will also increase distribution storage within the service area to improve system operation and reliability. 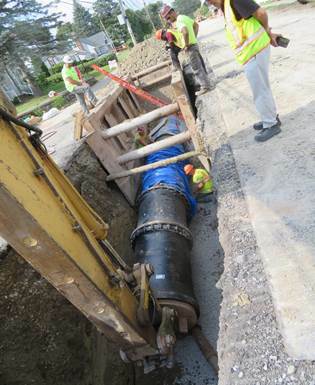 Work will include the construction of a pipeline from the Bellevue storage tank to East Street in Westwood. 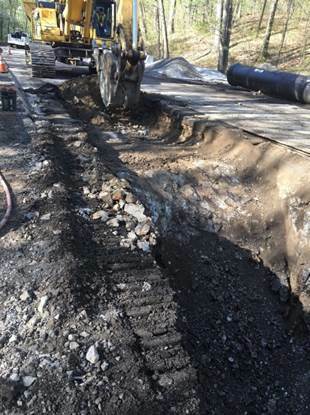 Contract 2 of the Southern Extra High pipeline project has started. 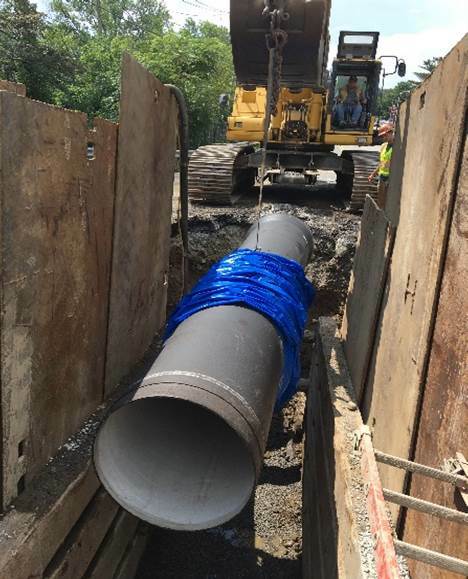 The contractor, P. Gioioso and Sons, has completed their first phases of work which involved the protection and wrapping of trees along the pipeline alignment. 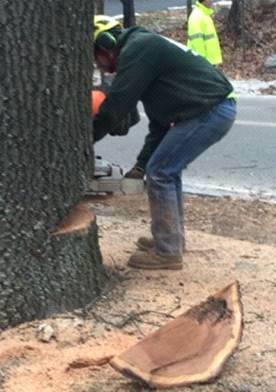 Other trees have been marked and removed along Dedham Blvd and further along the alignment. 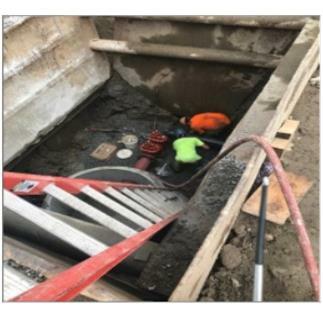 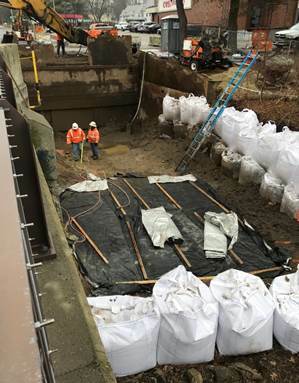 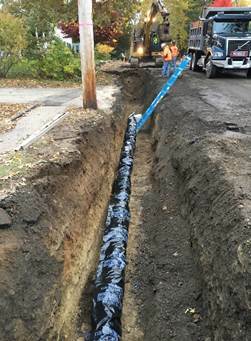 The first phase of pipe work involves the installation of a new drainage line along with the primary focus of installing the new 36” water line. 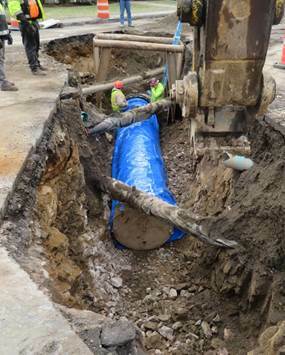 This work began in the area of Emmett Avenue to just beyond Charity Lane. 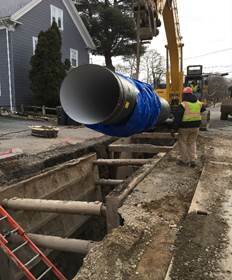 Once the drain line has been installed the contractor will go back and begin to install the new 36” water line within Dedham Blvd. 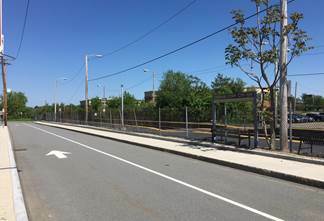 from the Boston line and head in the direction of Emmett Avenue. 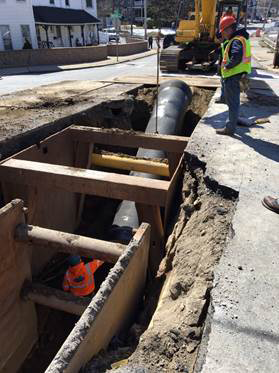 This work will be continuous with traffic detours in place on a daily basis. 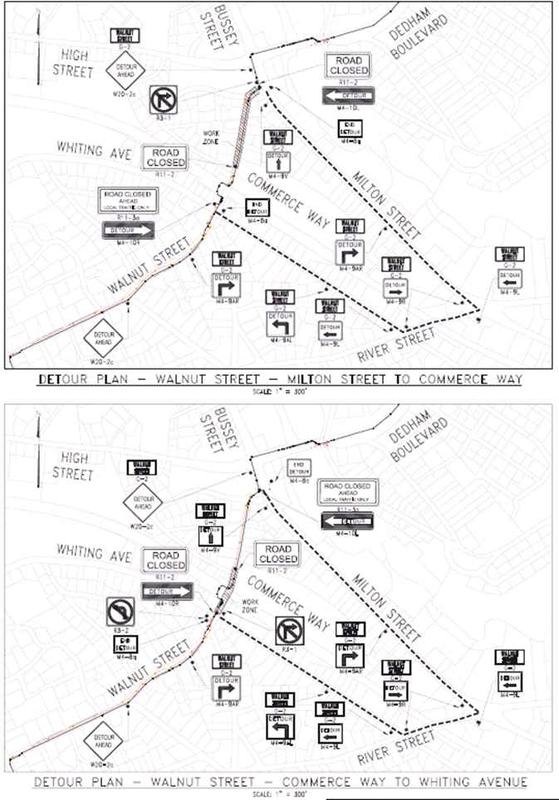 Traffic detours are described below. 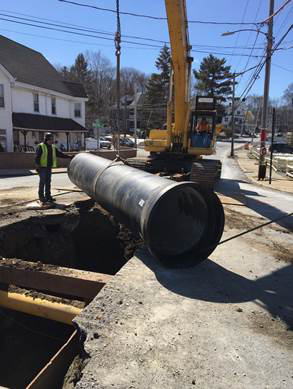 Dedham Blvd will be closed in both directions from Sawmill Lane to Alwin St. except for abutters. 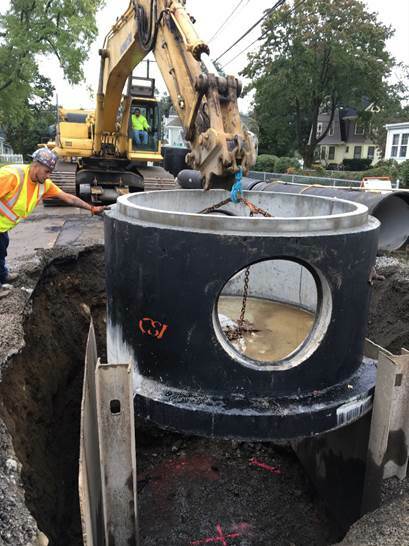 Southbound will be detoured at Alwin St to Turtle Pond Parkway onto River St. Northbound will be detoured onto Milton St. to River St and Turtle Pond Parkway. 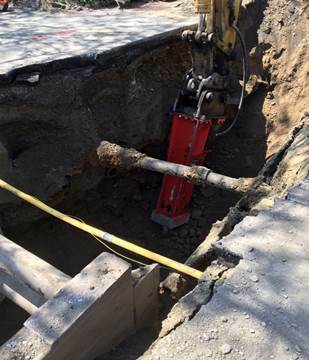 Walnut Street will be closed in both directions from Whiting Avenue to Milton Street. 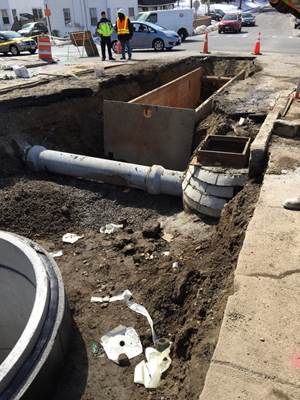 The detour will utilize Whiting Avenue, River Street and Milton Street. 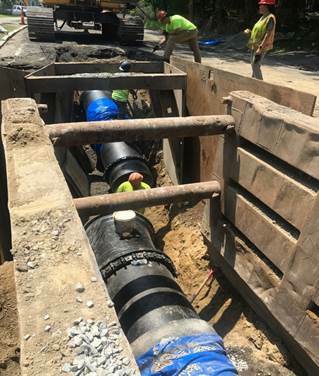 The contractor plans on utilizing a second crew and they will begin on Walnut Street at Oakdale Avenue heading South towards Mt. 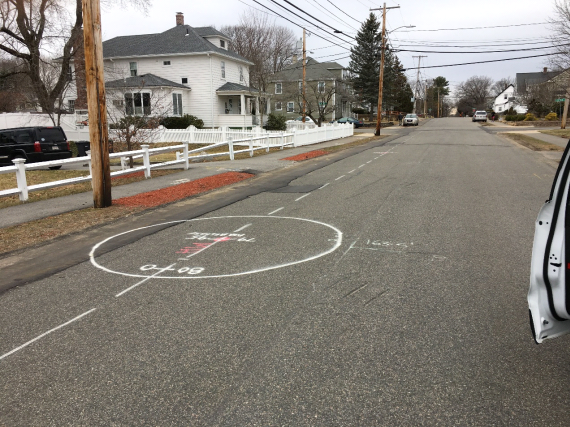 Vernon Street. 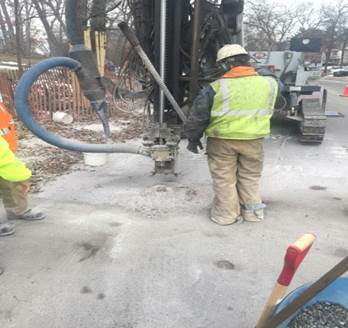 This crew plans to begin the 36 inch water pipeline installation work on Monday, March 5, 2018. 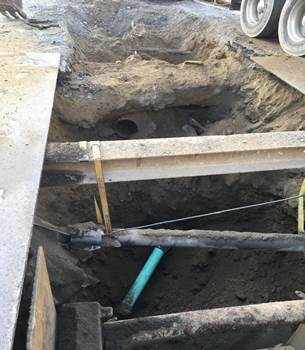 Residents in this area will begin to see preliminary work involving surveys, test borings and pits, tree protection, and the installation of the 36” pipe. 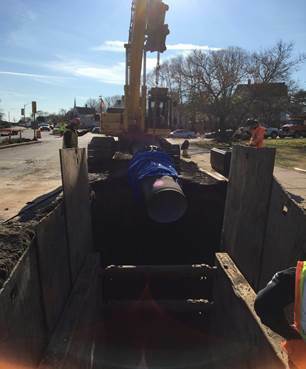 All roads where the new pipe is installed will be paved from curb to curb at the end of this contract. 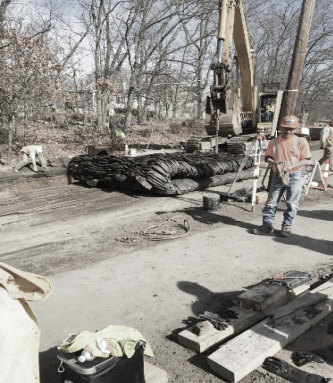 This contract (two) is scheduled to be complete by the end of 2019. 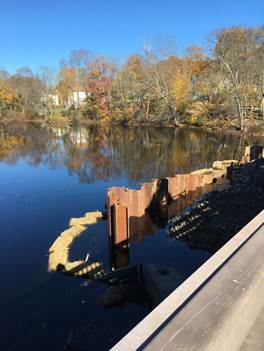 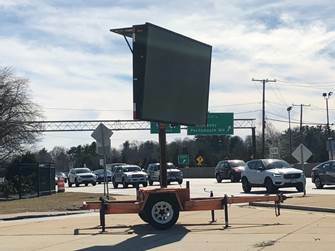 MWRA has developed a notification system for communicating information to residents regarding construction projects, community meetings and more. 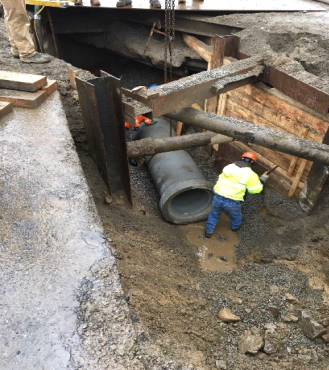 Once you sign up you will receive periodic updates on the progress of the construction project, as well as traffic detour updates. 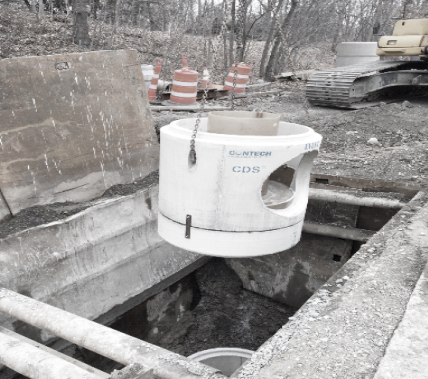 We encourage all residents to sign up at http://www.mwra.com/updates/everbridge/join.html. 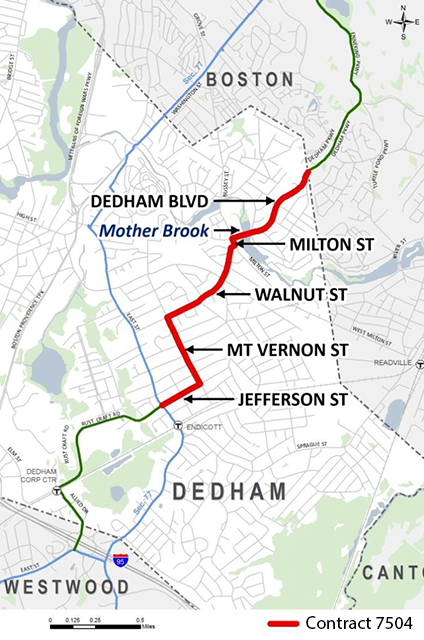 This construction project is named the Southern Extra High Pipeline - Section 111 (Dedham North), Contract 7504. 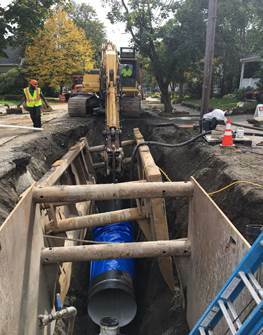 This contract (“Contract 2”) is scheduled to be complete by the end of 2019. 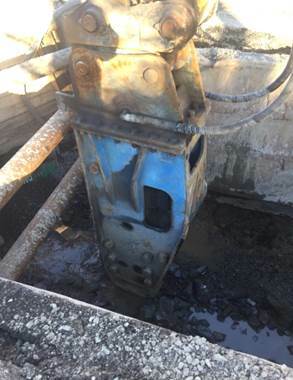 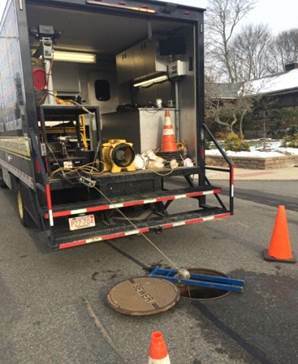 For more information, please call Jeff McLaughlin at MWRA at (617)305-5762 or by email at Jeffrey.McLaughlin@mwra.com. 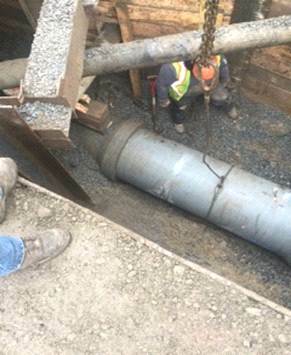 Progress of pipe installed: 93% complete. 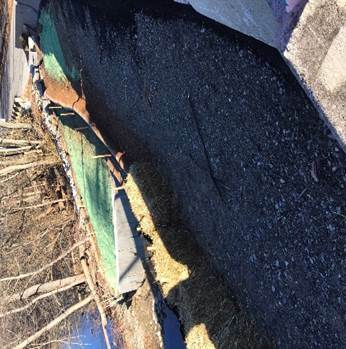 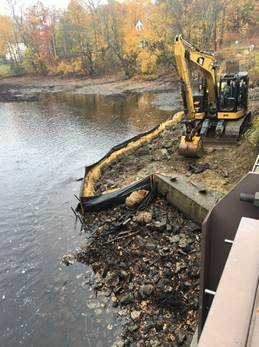 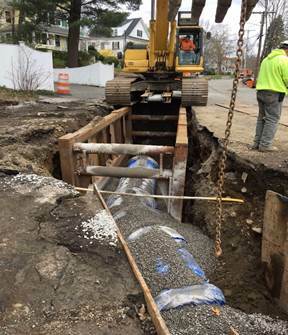 Dedham now has a sewer rehab project on Rustcraft Road - coordination is ongoing. 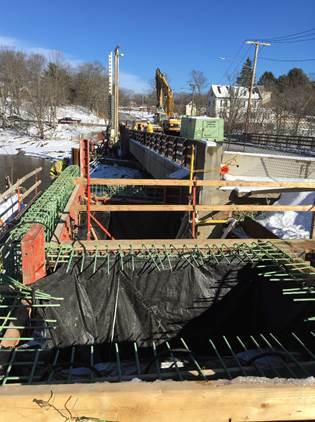 Notice: Existing bridge to be shut down for 2-3 days in February for crane setup for steel installation. 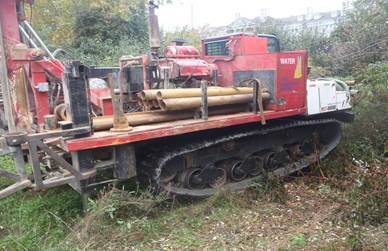 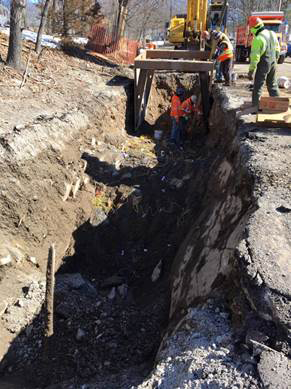 Consultant borings at MBTA Crossing completed evaluating jack and bore method preferred by MBTA. Dedham/Westwood main on Rustcraft will begin in the Spring. 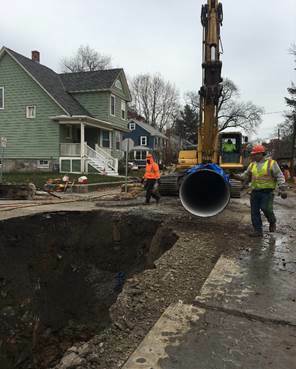 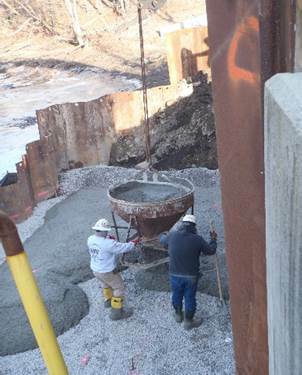 Second work crew on Walnut Street started on Monday, March 5. 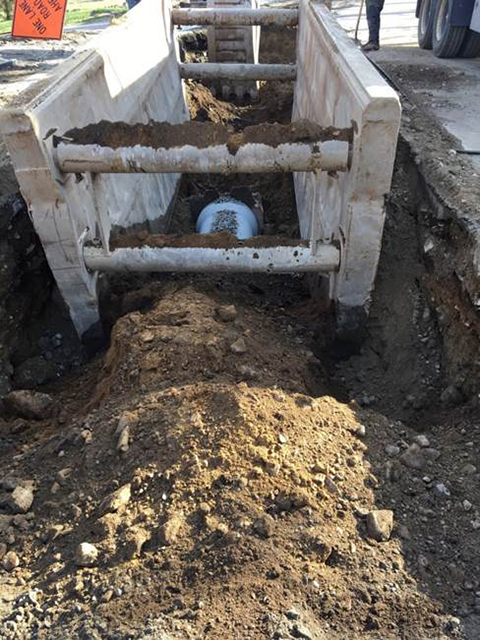 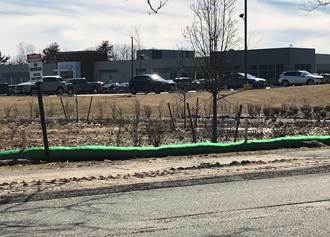 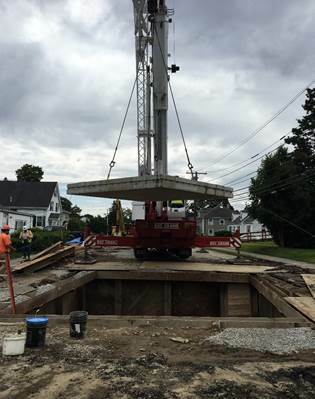 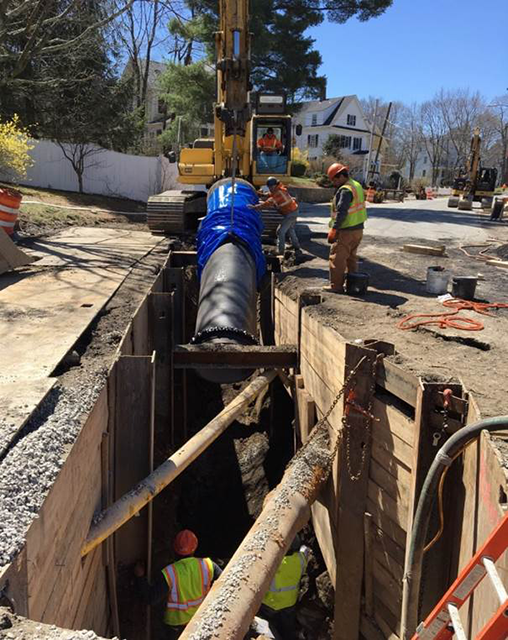 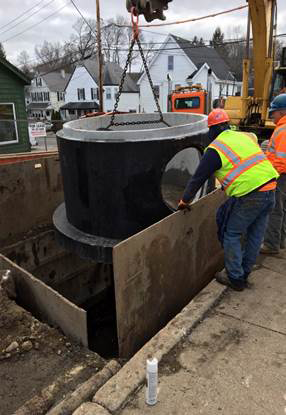 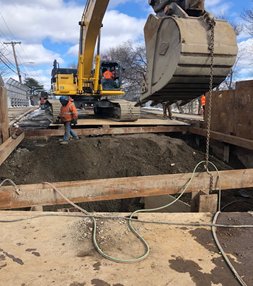 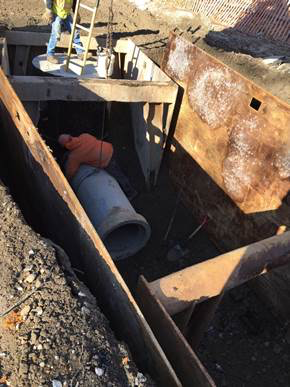 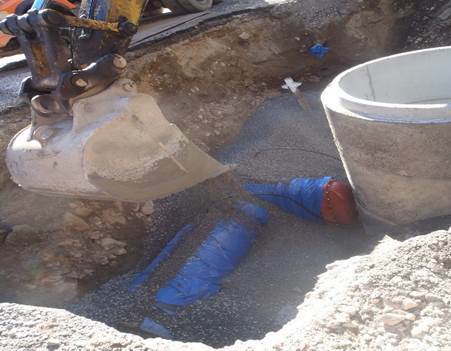 The contractor has started the installation of the DCR 24-inch drain on Dedham boulevard. 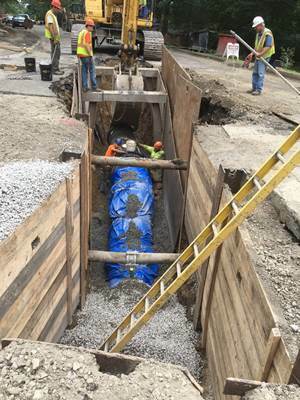 They have also been working on sewer inspection and rehabilitation, pre-drilling for ledge removal and tree trimming/removal along the pipeline route. 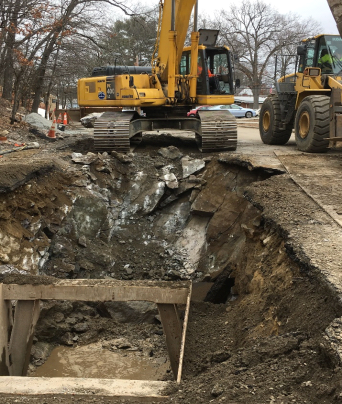 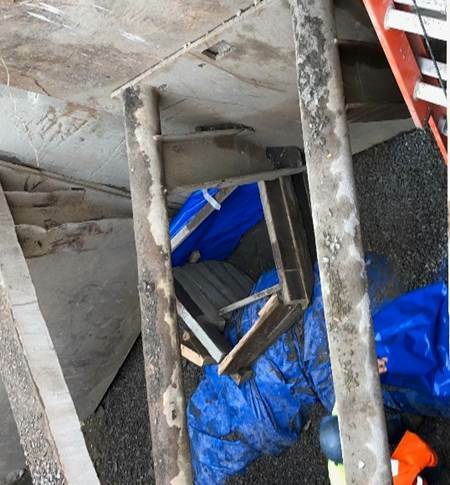 The Contractor had planned to have a second crew working on Walnut Street in January, but this has been pushed back to late February at the earliest. 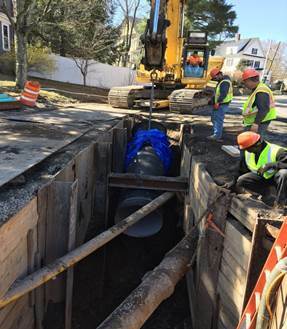 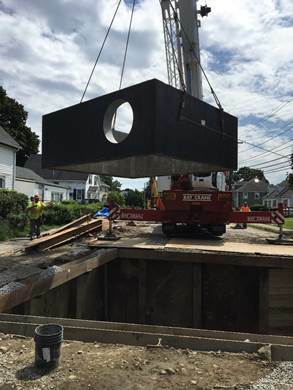 24-inch RCP drain being installed on Dedham Blvd.